Triumph Street Triple price in Delhi starts from Rs. 9.20 lakh (Ex-showroom). Street Triple is available in only 2 variant. The top-end variant Triumph Street Triple Street Triple RS is priced at Rs. 11.13 lakh. 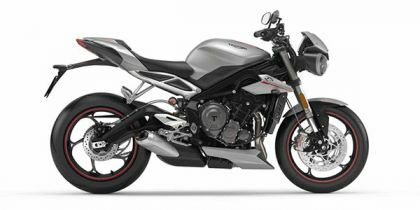 Triumph Street Triple's top competitors are Ducati Monster 821 (price starting at Rs. 9.51 lakh in Delhi) and Kawasaki Z900 (price starting at Rs. 7.70 lakh in Delhi).